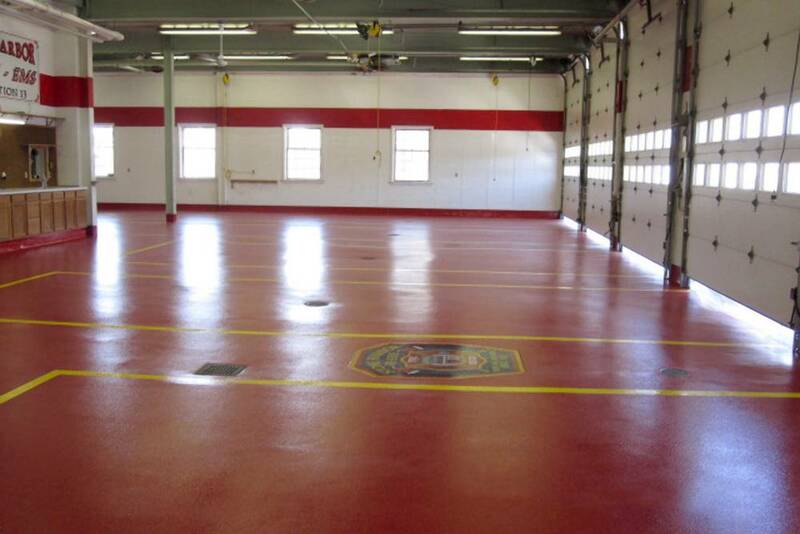 Seamless Epoxy Flooring Epoxy flooring is well suited for firehouse applications. 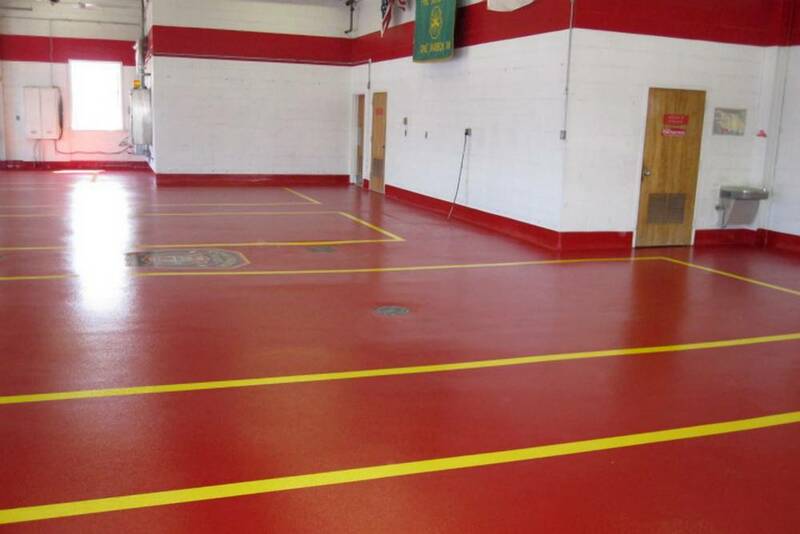 Seamless Epoxy Flooring Epoxy floors provide good protection against wear, abrasion, impact and chemicals. 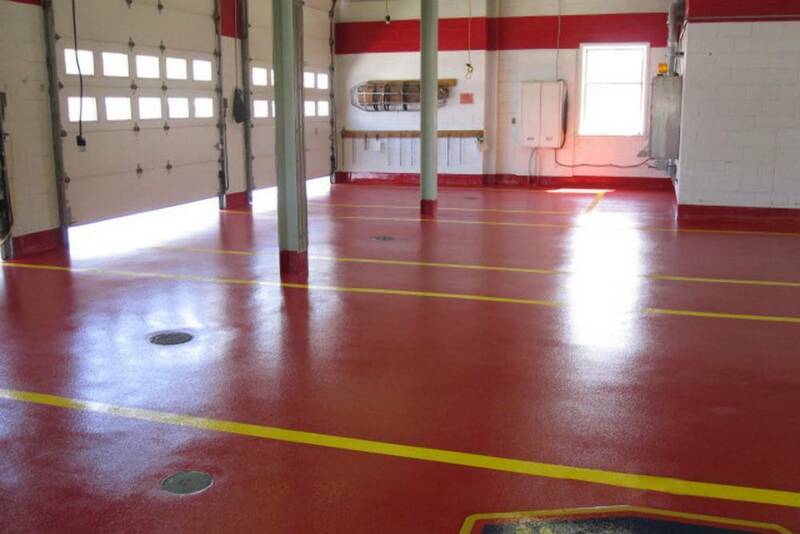 Seamless Epoxy Flooring Systems are low maintenance and easy to clean. 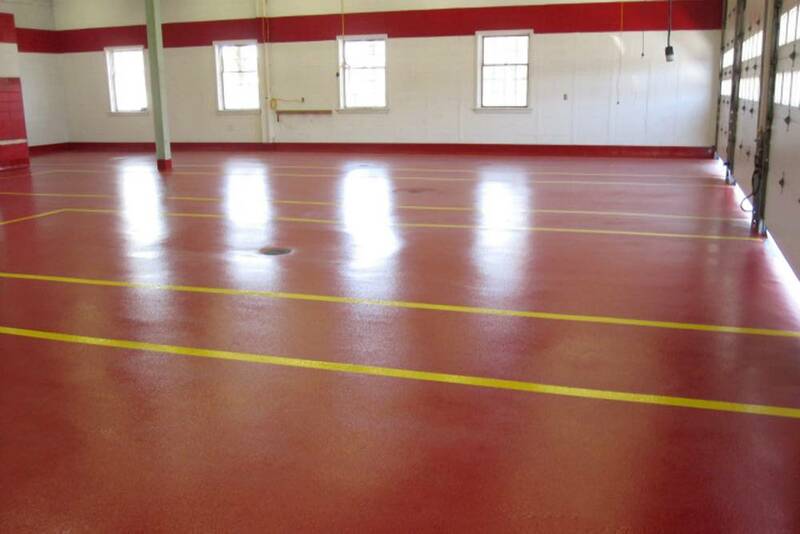 Seamless Epoxy Flooring Epoxy flooring systems are an economical choice for large areas. 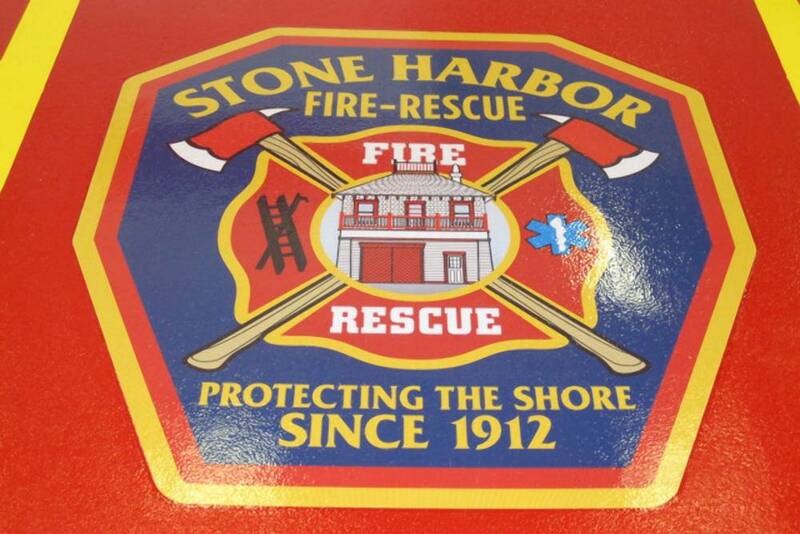 Seamless Epoxy Flooring All drains are carefully sloped. 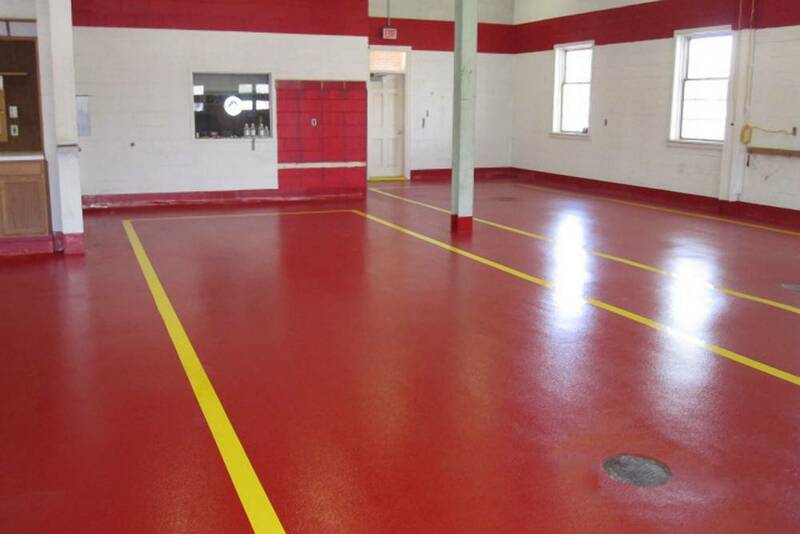 Seamless Epoxy Flooring Slip resistant formulations make for a safer work environment. 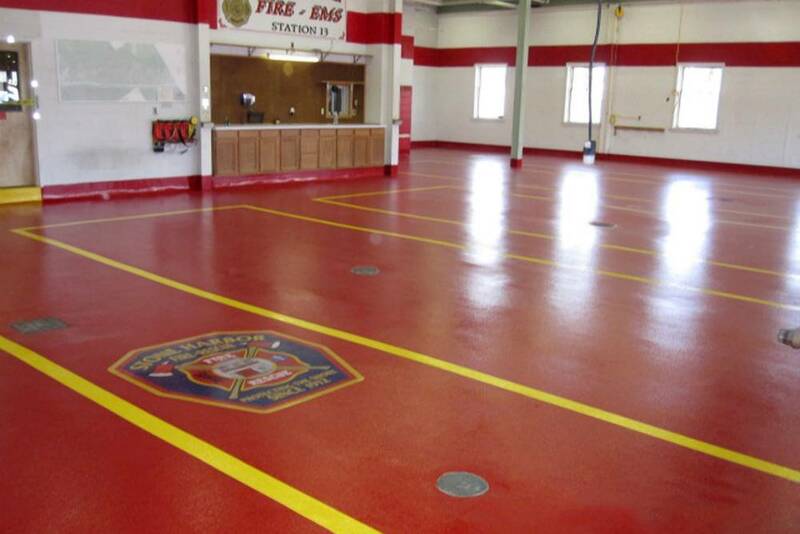 Seamless Epoxy Flooring Cove bases are a seamless part of this flooring system. 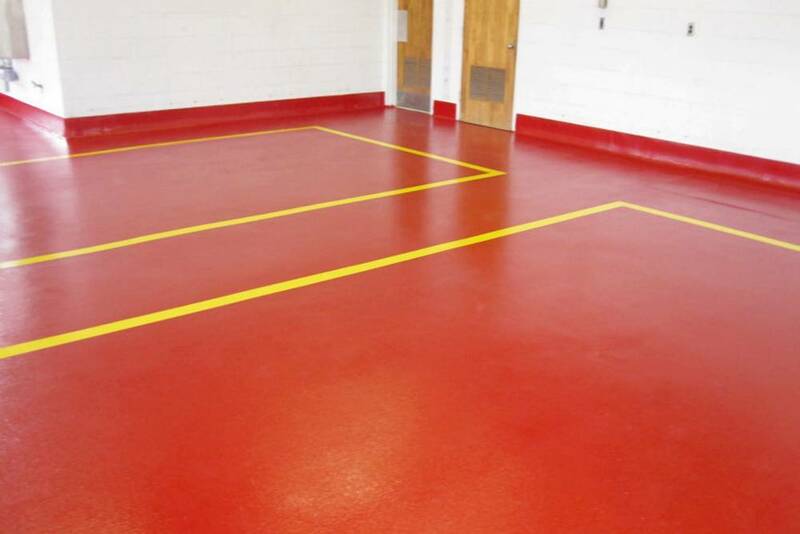 Seamless Epoxy Flooring PermFloor offers added decorative capability. 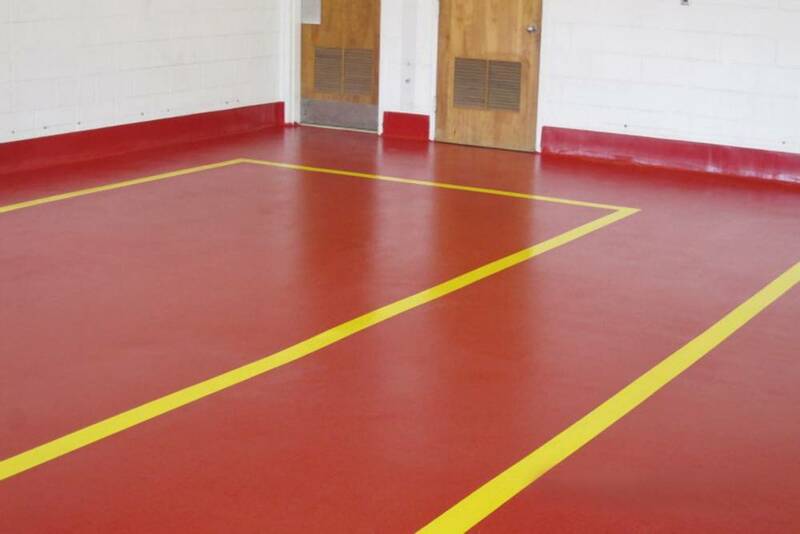 Seamless Epoxy Flooring Many color options are available. No need for a plain gray floor unless that's what you want. 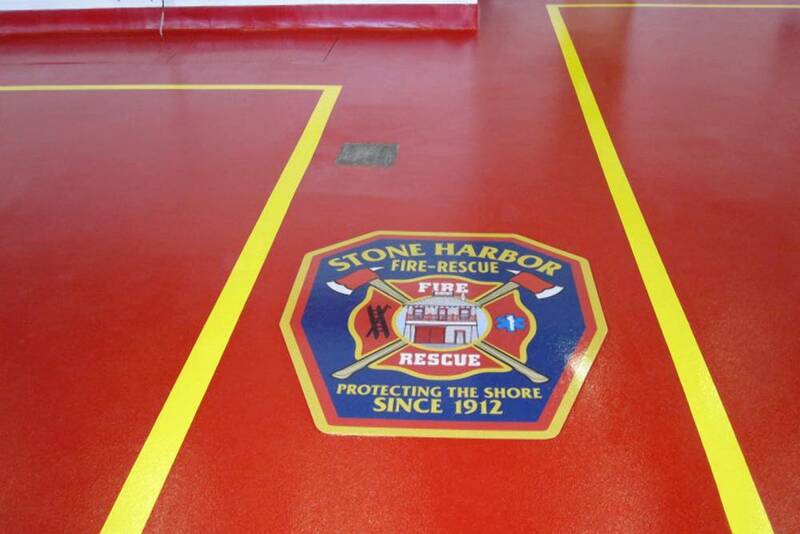 Seamless Epoxy Flooring The fire department logo was part of this installation for added esprit de corps.